Be the best rider of US police moto robot bike & enjoy steel robot transmute. The futuristic US robot game has just begun in survival city where muscle car robot enemies will not let finish secret stealth spy mission. 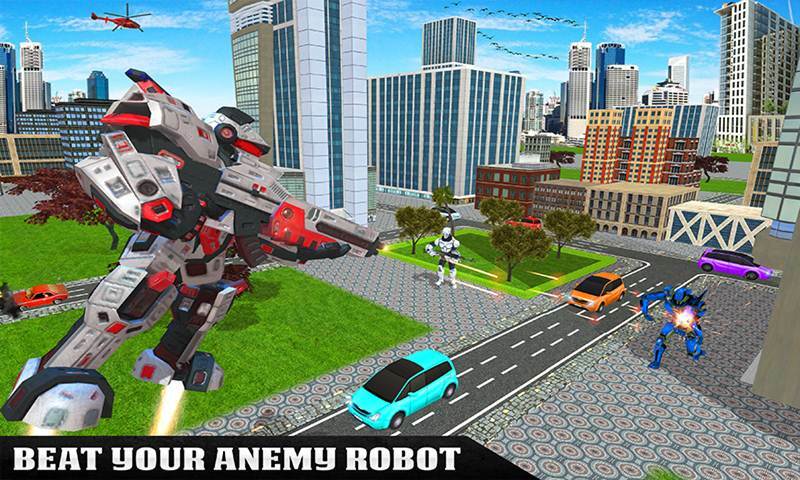 This amazing US police cop robot transmutes into flying robotic bike help you win the grand battle against muscle car robot, flying robots while playing US Police Flying Robot Bike Survival game. 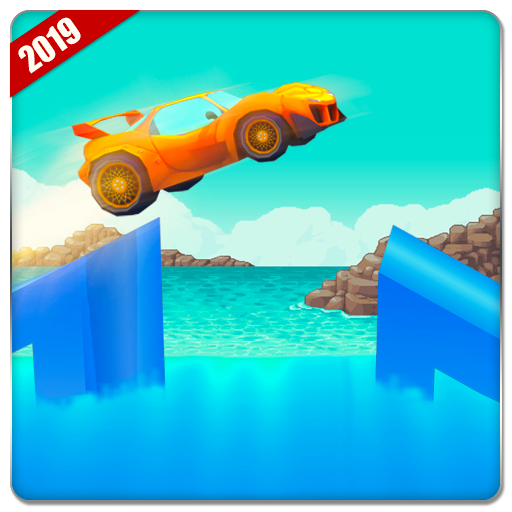 Flying robot real bike simulator is a thrilling game for all fighting games lovers and flying futuristic bike simulation fans. 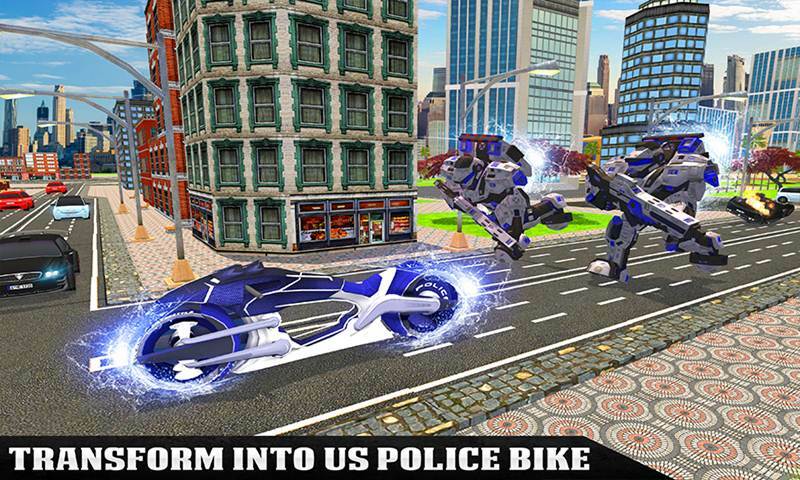 You can transform into fighting robotic bike and beat your rival car with the help of your surviving skills by playing us police robot bike survival game. 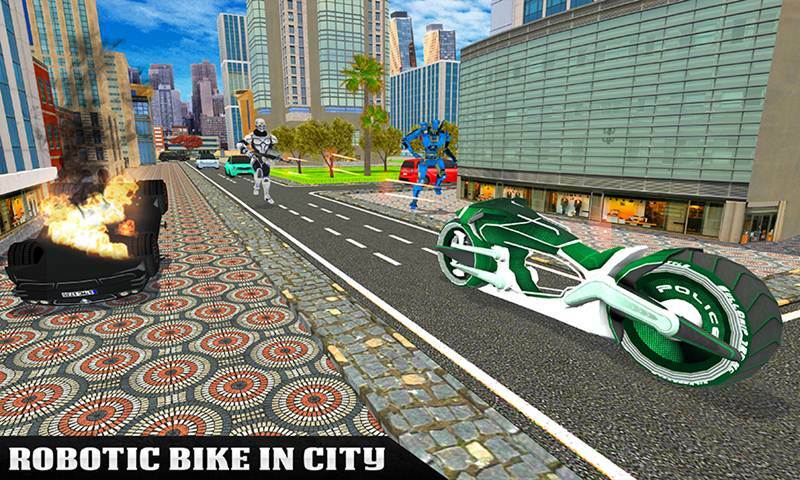 You play as a power-speed Real Robot Infinite bike city robotic warrior and save the grand city from deadly robots. 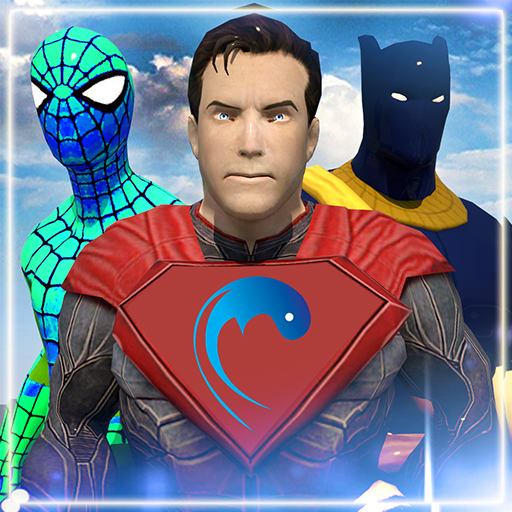 You are a special flying motor rider of the tremendous bike and have an ability to fight with your opponents to save your city for them. You have to show them who is the real boss of the robotic world. This scientific motorbike flying robot simulator let you enjoy attractive scenery of while you fly over the grand city skyscrapers. 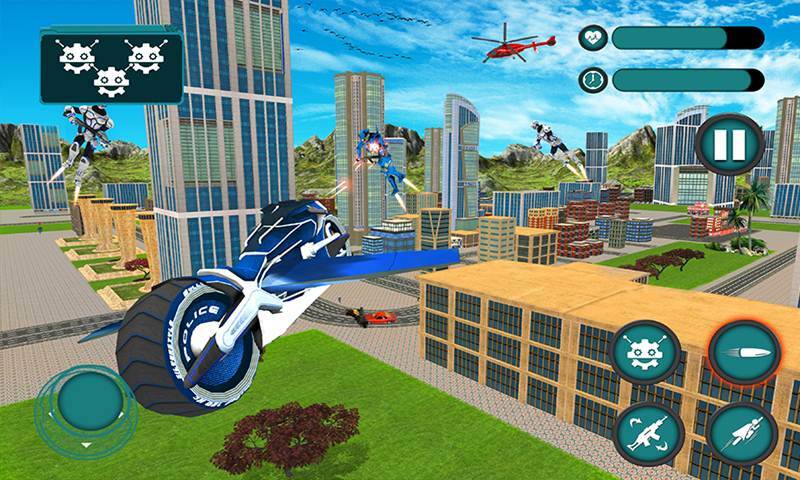 Fly your motor bike over the city in one of the best police robot game. 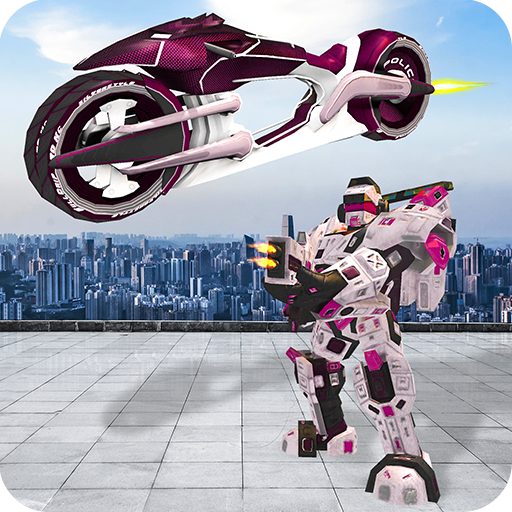 Destroy all evil enemy robots as well as cars with your mighty robot ultramodern motorbike in one of the top motorcycle robotic battle simulator.